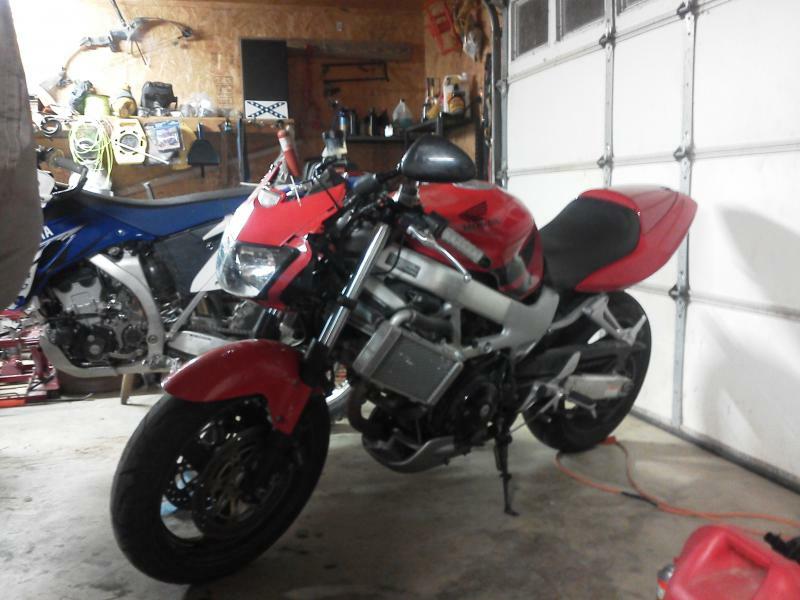 Anyone have any pics of a VTR with just the front fairing removed, leaving the headlight and gauges intact? Been pondering this look on mine for awhile, just not super pysched about pulling the fairing off and then putting it back on without cracking anything. Sorry, meant the stock gauges and stock headlight. Looks like all the colored fairing pieces would come right off around it all. Headlight from the bixenon internals of a BMW headlight and some custom bodywork in the form of a belly pan and radiator shrouds. I understand perfectly well what you're after... here's an old photo floating around on the innerwebs for a long time of a black VTR as you describe. I like the look. 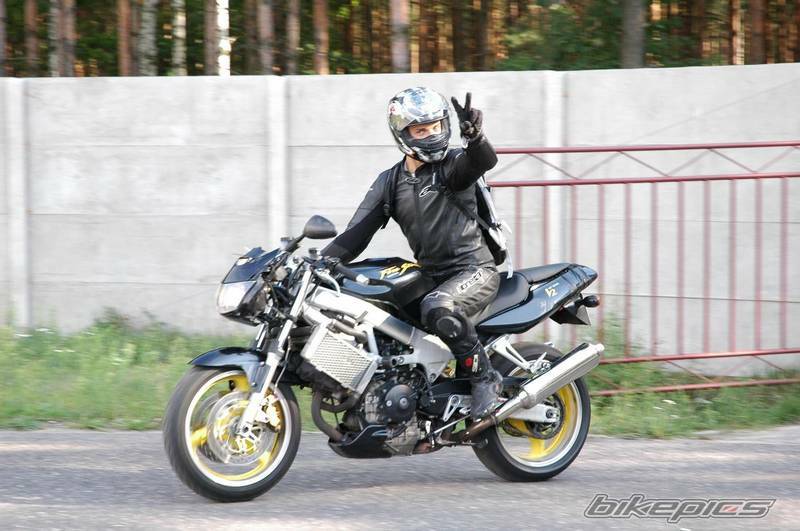 So much so that when I suffered a mild crash, I ran it like that for a few years. Mine is the red one. Light and surround held on with four heavy duty zip ties, what else? The last two were exactly what I'm looking for, thanks. Also, thanks for the info that the headlight is attached. In the upper left, under site navigation, click on the "forum" or "homepage" link. Then click on the forum category you'd like to post in ("classifieds" would be a good place to start if you're selling something) Then, once you're in the category, at the top of the thread posts, there is a button for "new thread". And you're off! SharkSkinz offers a headlight mounting bracket that will mount the headlight directly to the front subframe. It is a couple of pieces of aluminum bent/welded properly for an easy fit, you just have to drill a couple of holes. That said, it would be very simple to DIY with some aluminum, a vice, a drill, hacksaw, file, and a few eyeball measurements. I want to make sure you are aware of that option in case someone wants to represent that buying a kit with all the hard work done for you is a stupid waste of money. They're $42 now, I think I paid $30. Me, a couple hours on Saturday are easily worth $50, so pulling something out of a box and bolting it up is worth it to me. You may not value your Saturday morning as much as I do, so YMMV. Here's the link for you to throw money away should you decide to be as stupid as I apparently am. 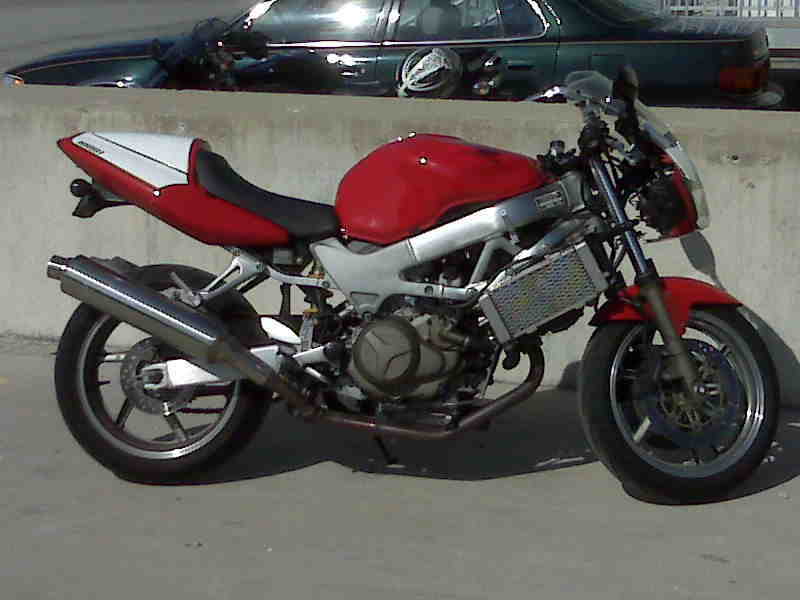 I really like this look with the side fairings off and the headlight, cluster and screen still in place. Did the windscreen need to be trimmed to work like that? 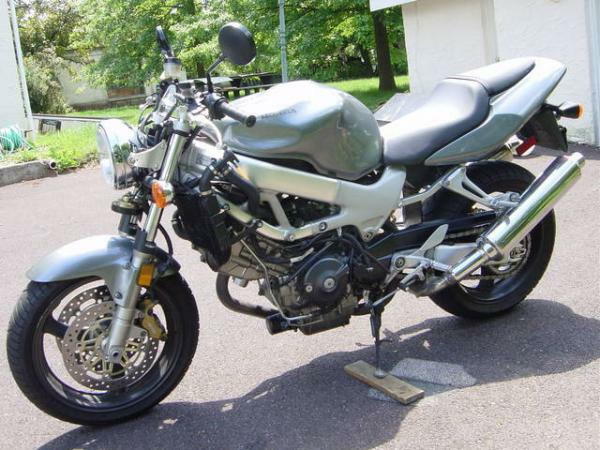 I dont have the VTR in my possession yet to have a look, due to extraneous circumstances, will be picking it up next week. Also, do these bikes overheat more with the side fairings removed? No, they do not overheat with fairings off. Thats what dead threads are for!